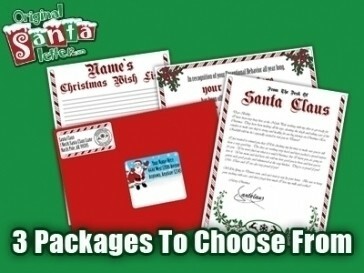 Today’s deal from JollySavers, a favourite family friendly daily deal site, is a letter from Santa for 50% off! Pay $10 for Personalized Letter from Santa, Wish List, and More. Each package includes a letter from Santa (personalized for your child), a customized Wish List with your little one’s name at the top, a personalized “Nice List” certificate, and custom-designed address labels for your tot’s correspondence with the head elf from OriginalSantaLetter.com! Visit JollySavers to take advantage of this special offer, but hurry because this deal won’t last too long!